Equip your minifigures with this high-quality sticker sheet from Brickmania! This pack features an assortment of uniforms and ammo pouches used by the Ottoman Turks during the First World War. Often poorly equipped, these soldiers mounted challenging campaigns against Allied forces in the Middle East, the Caucasus, and Eastern Europe. 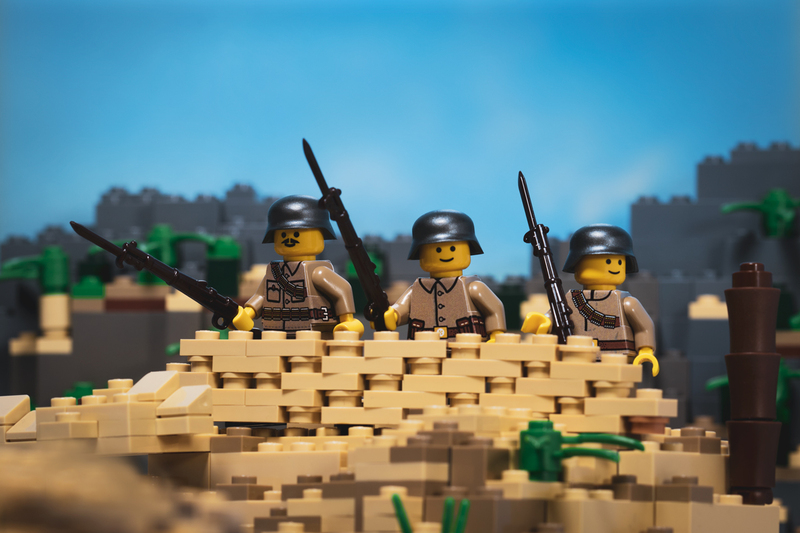 We recommend dark tan torsos with this sticker pack, and you can complete your minifigures with a BrickArms Stahlhelm and a BrickArms Gewehr 98 w/ Bayonet for each one.